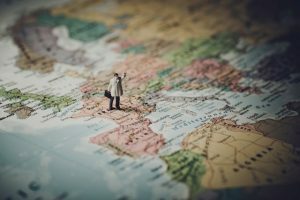 Home / The Fundraiser’s Journey: How Did We Get Here? 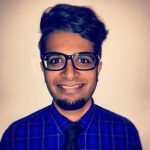 Khalil Guliwala is a bilingual data analyst/ fundraiser/ AFP Canada Fellow in Diversity and Inclusion (2018-2019) from Montréal, Québec. A big push by AFP, both in Canada and abroad, has been to increase the presence of “diverse” fundraisers in the sector (visible minorities, sexual orientation, etc), as well as battle the misconceptions and prejudice that impede the career advancements of some fundraisers, specifically women. How does someone start on the journey to become a fundraiser ? Hypothetically, if 100% of all fundraisers first went through a college fundraising program and then later joined the sector, then increasing diversity would be a matter of increasing enrollment from diverse candidates into the program, ensuring they have the support to complete the program, and then helping with job placement post-studies. Similar approaches have been adopted in Law, Medicine, Accounting, Engineering – you name it, anything with a Professional Guild-like model. But that’s not quite the way many fundraisers enter the sector. That’s a response you might also get if you asked a dentist or an accountant, or a lawyer or a doctor on how they ended up working professionally in their field, but you’d most likely treat it as an exception rather than the norm. Yet, there’s something about the fundraising profession where the “I sort of fell into it,” is more the norm than the exception. Why this question is important to answer today is because the charitable sector requires fundraisers, requires professionals to connect people with the causes they want to support. But if we, as a sector and as a profession, don’t fully know how we end up in this profession, haven’t fully mapped out the entry-points and traffic flow and matched our recruitment and training strategies accordingly, how will we ensure a supply of fundraisers in the future? How will we ensure the continuation of our projects once we retire or die? What does this mean to AFP and other associations who are the only loose tie between these people? What would knowing these answers mean for the AFP and its chapters given (IDEA) Inclusion, Diversity, Equity & Access is a recurring strategic objective? Without mapping how people enter the sector, can AFP and other associations truly support its membership? We have the late-career cause/institution professional who is thrust into a fundraising role to help their institution, and “fell” into a fundraising job. We need to map this out asap. Which is why, with Lea Hardcastle, I’m launching a survey to track how people become fundraisers. Please, it’ll take 4 mins to complete right now, months to analyse, and help us all for years to come. Attention: Please take 4 minutes and complete this survey for us to understand how fundraisers enter the sector.